Sugar has gotten a bad rap for being highly refined and a source of empty kilojoules. But what else can you use? What do they tell us ... about us? The United Nations has declared 2016 the International Year of Pulses (beans). What it is about beans that warrants such acclamation? 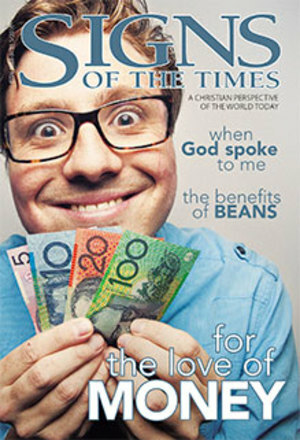 Do you think the only thing the Bible says about money is that it’s “the root of all evil”? Think again. Is there an ultimate truth, or does our knowledge constantly change with new information? And what does this mean for our understanding of the Bible? No longer just something you did with—or for—your children, adults now have a legitimacy in the world of the colouring-in book, a phenomena taking the world by storm. What does it mean to “hear” God’s voice? How does He “talk” to us? ISIL and Christianity: not that different? Terrorists see themselves as a prophetic movement that will bring on the apocalypse. Could they be right?